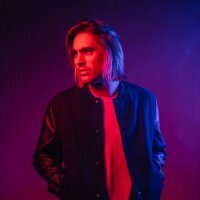 Suffolk's prolific and prodigal musical son, Charlie 'Busted/Fightstar' Simpson, has gathered quite a following since his departure from band activity. And it's not surprising, considering his transformation from baby-faced pop-icon to, er, baby-faced earnest songwriter - his gigs occasionally sell out and his debut-album has confounded many by hitting the top 10. Busted lasted for just two albums and despite eight Top three hits, including four #1s (one of them being the rather risible cover of the "Thunderbirds" theme for the film-remake's soundtrack), Simpson's desire to be taken seriously was too overwhelming to keep the pop-punk band in business - his side-project band Fightstar was also probably a bit of a distraction and the band imploded. Whilst other Busted members achieved modest success, Simpson reached the giddy heights of the Top 10 with Fightstar, before they too were shelved in favour of going it alone. A pretty good decision, by all accounts. After raising recording-funds via Pledge Music and almost seeing physical copies of his debut-album go up in smoke during the August disorder, that inaugural CD has finally reached the shops. "Young Pilgrim" includes recent singles "Down Down Down", "Parachutes" and "Cemetery" will form the basis of his next tour in 2012. First calling point will be Ipswich on 21st March, followed by KOKO in London on 22nd, plus the usual big Northern cities until heading back down to the south for a Portsmouth show on 2nd April. Tickets will go on sale on Monday morning at 9am, priced at £13.50 (£15 for London). Many shows are in towns that didn't feature in his recent autumn tour.